Thank you for subscribing to the HCP Newsletter! Thank you for subscribing to the HCP e-Newsletter! 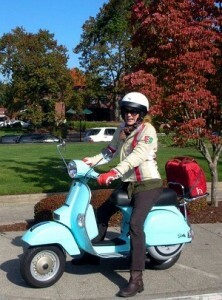 Dr. Lara Garrett riding over to deliver in home primary care to another HCP patient. We welcome your interest in Housecall Providers’ e-Newsletter and look forward to keeping you updated on news about our leading edge healthcare services to homebound members of our community. Our mission of bringing primary medical care and hospice services to some of our community’s most medically fragile members is changing the way these people receive health care, and we’re growing rapidly as a result. When we have news about our practice, our patients, families, supporters and staff, you’ll hear about it in our e-newsletter or alerts, so watch for the next issue to hit your in-box! In the mean time, please visit our blog to learn more about how Housecall Providers is truly bringing health care home.